Highlight the sentences that we all tend to overlook... Make a story and publish it everywhere. Stack your notes and bookmarks on your spreadsheets. No matter how many notes you have. Just at a glance. Easy to organize as usual. It's safe, secure and flexible, because It's a good old Google spreadsheet. You can also put them together in a public spreadsheet. Highlight key sentences or jot down quotes. NoteSheet will find the source for you. Annotate and sync them for future research. Now manage your notes and scraps both on your mobile and web browser. 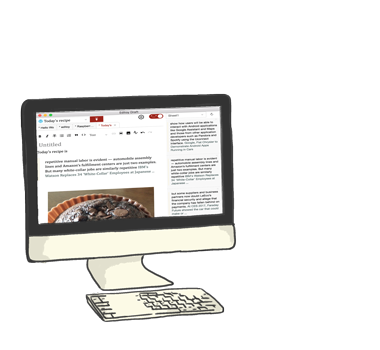 Note taking and web clipping. On your own spreadsheet. Write once, publish anywhere. Medium, Wordpress, Tumblr, Facebook, Twitter, or any other blogs that support standard blog APIs such as MetaWeblog and AtomPub. 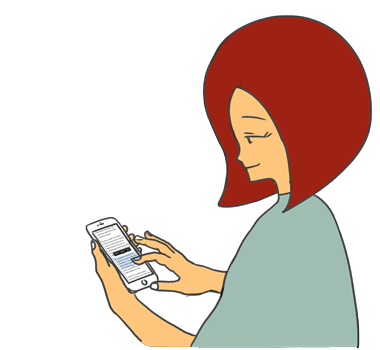 Did you find a killer sentence from news apps? 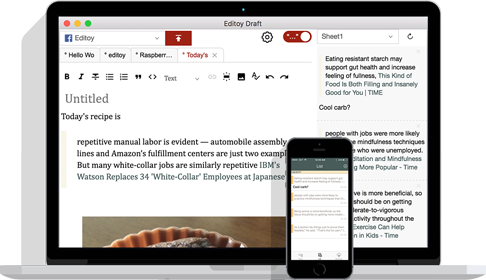 Curate it with NoteSheet and start an article with Editoy Draft. Clips are already right next to your writing. Paste or drop images on this easy and simple rich text editor. Drag your curations from NoteSheet list. Open multiple tabs and write at the same time. Tabs are saved automatically. You can also save them as clean HTML files. Editoy research studio is a boutique consulting firm in the software field. Sorry, we are currently in Closed Beta, but we can invite you.